You don’t want to wait until summertime to see if anything is wrong with your air conditioner. If your air conditioner breaks during the hottest days of the year, it could take weeks to get an appointment to get it fixed. Make sure you take the time this spring to make sure it’s in perfect working order so you can stay cool all summer long. Here are some easy ways to get your air conditioner ready for the summer. 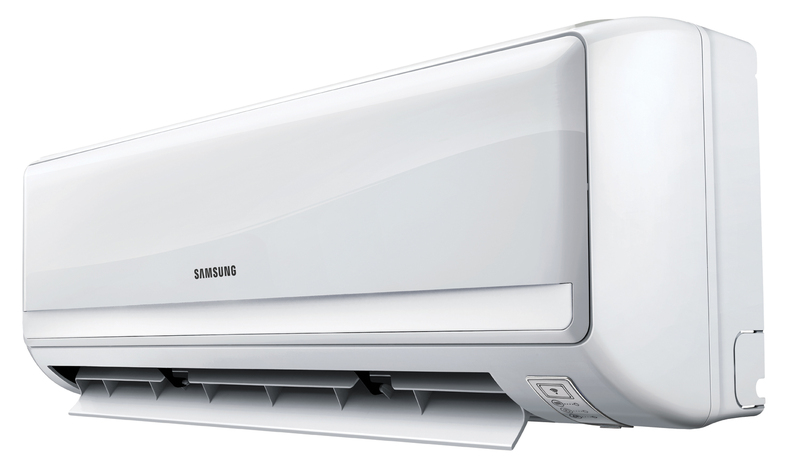 The condenser unit includes the coils and fins on the inside of your air conditioner. Cleaning the area is so easy, anyone can do it. First, unplug the air conditioner so you are sure the power is off. Once it is unplugged, unscrew the top so you can remove it completely. You will see coils along the sides and fins to the fan blades. If it hasn’t been cleaned recently, it will most likely be caked with dirt and debris. Sticks and leaves can get inside of it too, which can break your air conditioner if left in too long. If there are large pieces of debris, you can just remove them with your hands. Once they’re removed, turn on your garden hose and spray out the condenser. If you have a spray nozzle to make the hose spray harder, you should use it. It will ensure that you get everything out. Once everything is clean, all you have to do is screw the top back on and plug in back in. You don’t need to worry about drying it. Air conditioners are perfectly safe getting wet since they are made to be installed outside in the rain and snow. If you have any problems cleaning your condenser, call the AC pros to come help. If you haven’t changed the air filter in your home recently, you need to do it. It should be changed every three or six months. Every home has a larger air vent where the air filter is located. It looks like the other vents in your home, except it is about four or five times larger. Most are on the ceiling in a hallway, often near an attic opening. However, some are located on the wall. The vent will have a couple of latches that you slide to the side and then it will hang down from the hinges in the middle of the vent. Once it opens, you will see a large air filter with numbers printed on the side. The numbers indicate the size of the air filter that you need. You can buy air filters from any big box or home improvement store. Some air filters come scented, so you can have a nice vanilla or fresh linen scent blow through your home. You can also add essential oils to regular air filters. When the air filter gets dirty, the air won’t be able to flow through it properly. This will cause the warm air to return to your furnace and cold air to return to your air conditioner, which will make it either shut off completely or work harder to push the air through. Both issues can damage your equipment while it is running. Make sure you replace your air filter regularly. It’s inexpensive and easy maintenance that will allow your air conditioner to last a lot longer and run smoothly on hot summer days.